A film script helps the director to clarify ideas, and to develop a project that will work in corporate video production UK. It helps to coordinate the production team, and it helps them to access the resources needed. Although you will meet professional camera crews on corporate video production apparently shooting spontaneously, they are invariably working to a system that has proved itself before. With drama the script actually begins the production process. The director reads the draft script, which contains general information on location characters, and stage locations. 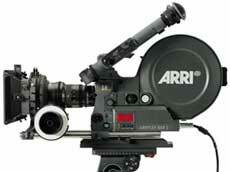 At this stage improvements are normally made to make this script more practical for video editing or film production. Another method of scripting begins with an outline. Here you decide on the various topics you want to cover, and the amount of time you can allot to each. Film Scripts for Documentary making. when producing a documentary, an extended outline becomes a shooting script, showing the location unit details of typical shots required. It may include any on spot dialogue to be delivered to video camera crews. All other dialogue(commentary) is developed later, together with effects and music, to suit the edited program. The form of script you will use will largely depend on the kind of program you are making. An outline script will include any prepared dialogue (e.g. opening and closing announcements.) Where people are going to improvise, the script may just list the order of topics to be covered. When a program is fully scripted, it includes detailed information on all aspects of the corporate video production UK.